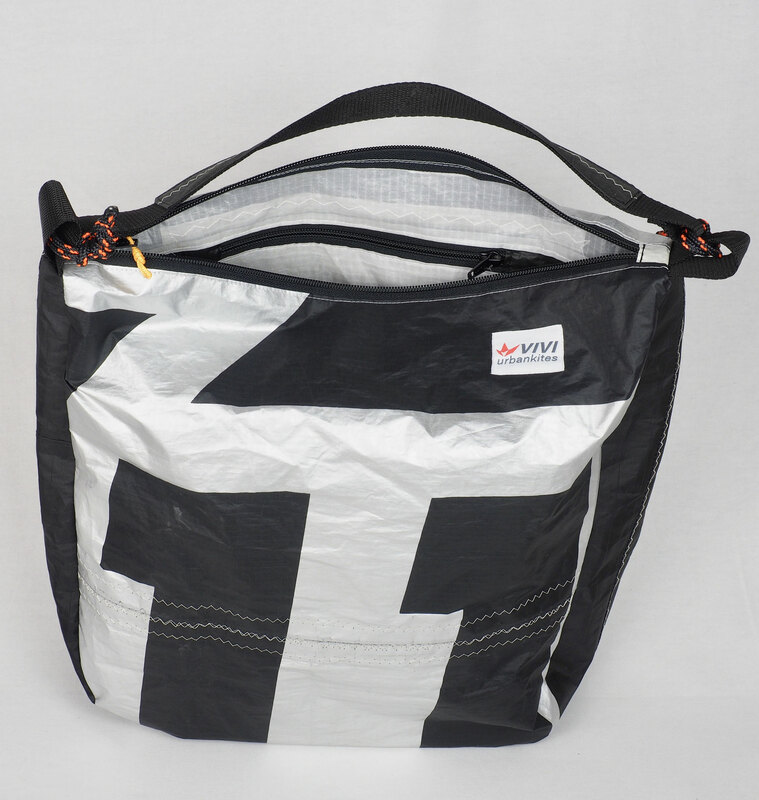 This travel prove Shoulder-Bag provides a perfect mix of function and style. 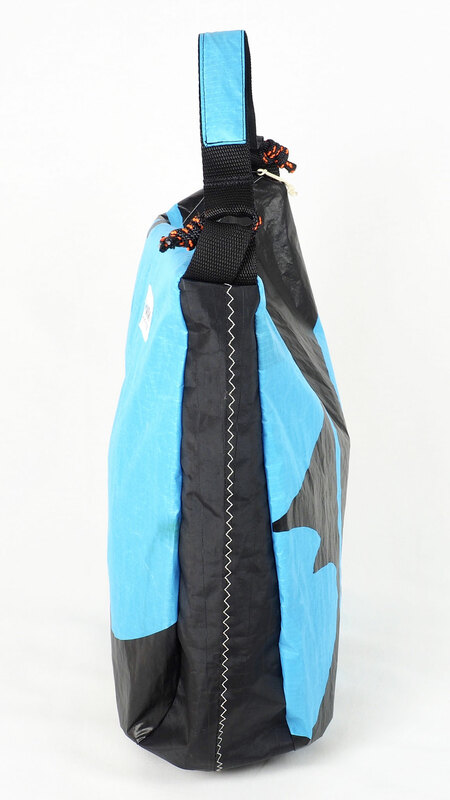 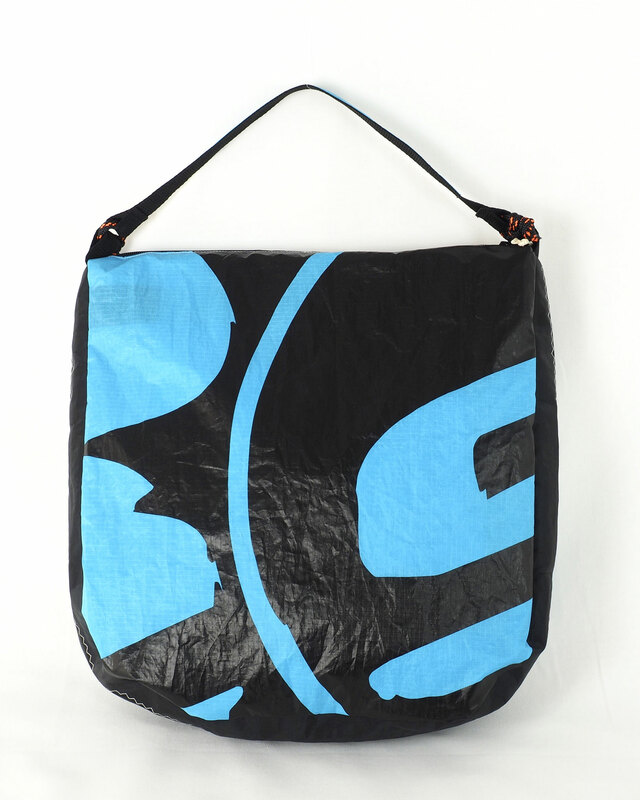 Solid build with double layer Rip-Stop fabric and Dacron tube-material, the shoulder strap connection points are created with kite loops and give the bag its matchless kite style. 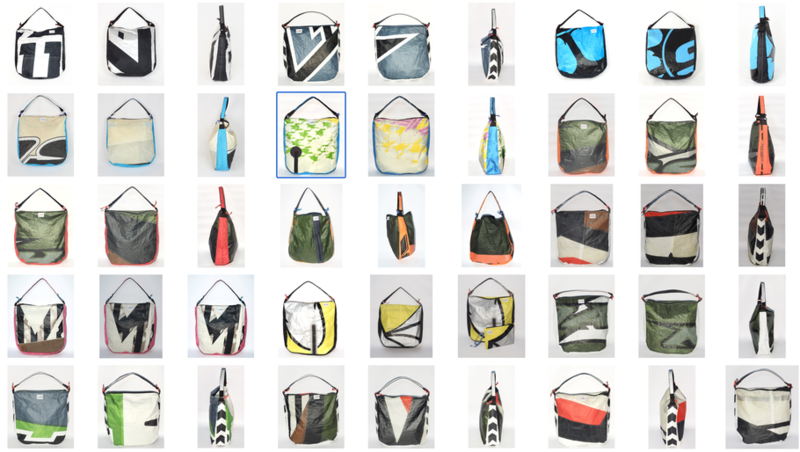 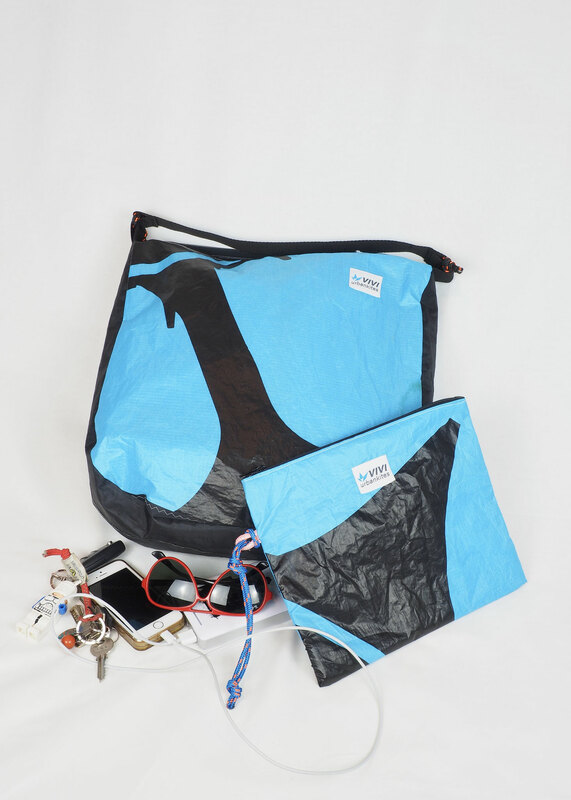 The Hobo is big enough to carry your digital devices, books, cameras and other stuff you need in your daily routine - still having a stylish peace of kite beach with you. 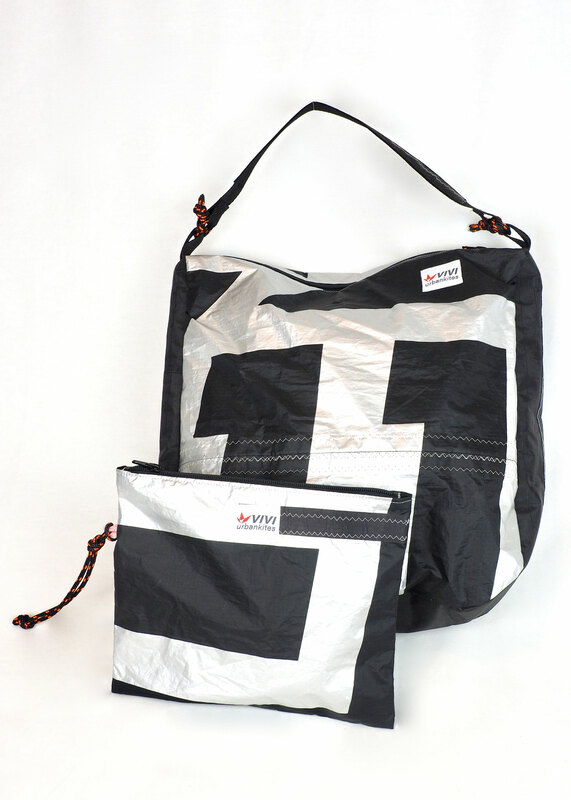 Bag provides two inside pockets and has a top Zipper to make it a perfect and safe every day bag. 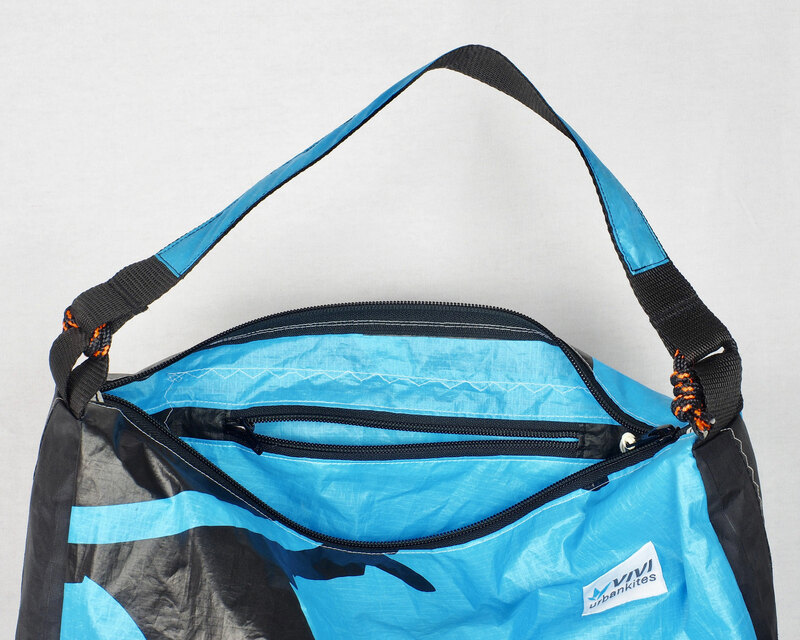 Rebuild out of Rip-Stop kite fabric and Dacron tube material, plus added straps, loops and YKK-zippers.